Does Good Reporting Require More Than Watching a Video? 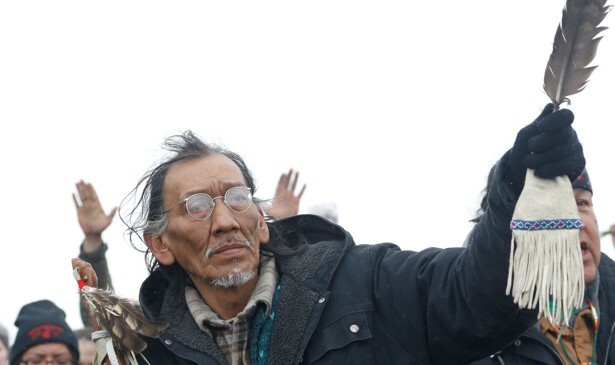 Nathan Phillips prays with other protesters near the main opposition camp against the Dakota Access oil pipeline near Cannon Ball, North Dakota, U.S., February 22, 2017. Journalism values accuracy and facts. But as videos go viral on social media and are accepted by their vast audiences as indisputable evidence of what occurred at a certain place and time, the line of what journalists use to back up their reported facts has started to blur into questionably ethical territory. Seasoned Atlantic writer James Fallows fell into this trap when publicly commenting on a video that appeared to depict a confrontation between a group of high school students from Covington Kentucky and a Native American elder in front of the Lincoln Memorial in Washington, D.C. on January 18, 2019. Before obtaining a fuller picture, numerous media outlets were quick to criticize the Covington Catholic High School students for taunting the Native Americans on the Mall, but then reversed their position when more videos and information surfaced. The incident serves as a useful demonstration of the tensions in journalism between speed and accuracy and between reporting based on perception and on provable fact. It also highlights the power of social media to time and again tempt us to react to a controversy without the requisite humility and courtesy we might afford one another in a face-to-face disagreement. ← Should Ethics and Norms trump Politics and Personalities?